The Private Sector Fundraising (PSFR) section within the Private Fundraising and Partnerships Division (PFP) works with National Committees and UNICEF Country Offices to maximize income and drive income growth. With demands being placed on the volume and quality of supporter engagement opportunities, the potential for exhausting leading fundraising channels, the rise of country office fundraising and the on-going global challenges of raising unrestricted income, the Fundraising Manager – Content and Engagement works across DOC (Division of Communication), PFP, regional offices, country offices and national committees to drive the development of effective and distinctive, audience-focused, content for supporters. To create, re-purpose, curate and disseminate acquisition and retention content tied to channel priorities. The Fundraising content team works seamlessly with the Supporter Engagement Content team lead by the Communication and Marketing section, which focuses on engaging supporters with non-financial asks, and supporting business partnerships. Success of the team’s joint working depends of the post holder working very closely with the other content team manager. Great stories and content bring to life UNICEF’s impact and results for children. We are looking for a Fundraising Manager – Content and Engagement, who can create inspirational content for new and existing supporters. You must be able to translate complex concepts into simple, actionable actions our supporters can take to empower them to change the world for children. 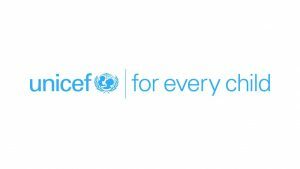 You’re an enthusiastic and skilled manager – probably a content creator in your own right — who is passionate about creating, testing and optimizing a world class, multi-channel supporter experience for UNICEF’s donors. You should know your way around digital and speak fluent monthly giving. You’ll be responsible for ensuring that UNICEF National Committees and Country Offices have a sufficient number of quality core assets (images, stories, videos and more) to enable them to achieve their fundraising goals. You’ll do this by working with a terrific core team in Geneva HQ, our Division of Communications at HQ in New York, and with Regional and Country Offices. If you’re comfortable working in a fast-paced environment and feel ready for this exciting role, we’d like to talk to you. Provide content leadership in UNICEF’s Supporter Engagement Strategy and lead the development of compelling and distinctive supporter-focused content for UNICEF. Ensure that this strategy is consistent with, and supportive of, the marketing strategy. This to cover online and offline, above the line and below the line activity. Work with the Private Sector Fundraising unit, regional teams (Relationship teams, Regional Support Centers) and country teams (National Committees and country offices) to develop strategies, implement work plans and optimize private sector donor engagement in lead income streams. Make recommendations on conceptual development of fundraising content for UNICEF’s campaign priorities and lead the planning, sourcing and development of material of quality and relevance to fundraisers. And, since Pledge fundraising (recurring giving) is UNICEF’s single largest income stream for private individuals, the planning and execution of leading edge engagement material is vital to maximizing this income stream and insuring the efficient use of millions of dollars of investments. Work together with the UNICEF Goodwill Ambassador, Global Integrated Campaign Leads and Brand Teams to develop engagement strategies that support fundraising priorities. Ensure the consistent supply of quality materials to UNICEF’s central fundraising hub for use in all online and offline media in alignment with UNICEF’s standards for ethical communication as well as brand standards. Provide guidance and leadership in Direct Response Television (DRTV) and Engagement Response Fundraising. The role either directly or through agencies, films on location, write human interest stories, takes photographs and edit videos with a view to testing, analyzing and refreshing centrally produced videos on an on-going basis to continually quality control and validate the creative proposition, while improving the return on investment. Produce and procure content for use in all media, with a special focus on the needs in digital media. Ensure emergency preparedness plans are in place and provide leadership and coverage during sudden onset emergencies, ensuring the timely collection and distribution of images, stories, DRTV and appeals to maximize UNICEF’s emergency response fundraising. Liaise with Division of Communication (DOC), National Committees, Country Offices and relevant partners to source and produce content of exceptional quality. Focus on new acquisition channels, the use of new technologies and upstream fundraising. Oversee all aspects of acquisition and retention content management and work plans, including the work of external consultants, marketing/fundraising agencies and editing companies. Overall Responsible for quality assurance and consistency of fundraising content. Lead the team in providing effective fundraising content, stories and images to National Committees and country offices, corporate partners and major donors, to build the loyalty and satisfaction of UNICEF donors. The Engagement team currently consists of three content specialists. Work within the calendar of communications to identify opportunities and drive the creation of donor acquisition and retention content to focal points in UNICEF National Committees and country offices. Promote and create an enabling environment for the dynamic sharing of all engagement related best practice from the UNICEF network, including regularly presenting at skill shares, the UNICEF Private Sector Forum and in Webinars. Work closely and swiftly in emergency situations with the PFP Emergency Team as well as other relevant internal stakeholders, National committees and Country offices to produce (directly, via agencies or partners), edit and bring to market fundraising relevant content in all channels within a very limited time frame. Minimum of eight years of professional work experience in creating actionable donor, supporter or customer content in a fast-paced charity or commercial environment. Demonstrated experience managing and motivating a team. Hands-on technical expertise in a multi-channel campaign environment that includes e-appeals, direct mail, DRTV, videos, human interest stories, online and social media. Professional work experience in creating engaging content for fundraising or marketing in a charity environment, commercial sector or advertising agency. Advanced university degree in Marketing, Communications, the Humanities, Fundraising, Business Administrations, Social Sciences, International Relations or the equivalent. Proficiency in English. Working knowledge of languages spoken in countries where UNICEF has National Committees would be an asset. The fundamental mission of UNICEF is to promote the rights of every child, everywhere, in everything the organization does in programs, in advocacy and in operations. The equity strategy, emphasizing the most disadvantaged and excluded children and families, translates this commitment to children’s rights into action. For UNICEF, equity means that all children have an opportunity to survive, develop and reach their full potential, without discrimination, bias or favoritism. To the degree that any child has an unequal chance in life in its social, political, economic, civic and cultural dimensions her or his rights are violated. There is growing evidence that investing in the health, education and protection of a society’s most disadvantaged citizens addressing inequity not only will give all children the opportunity to fulfil their potential but also will lead to sustained growth and stability of countries. This is why the focus on equity is so vital. It accelerates progress towards realizing the human rights of all children, which is the universal mandate of UNICEF, as outlined by the Convention on the Rights of the Child, while also supporting the equitable development of nation. Please quote in application: Fundraising Manager (P4) – Content and Engagement via Pro Bono Australia.